St. Mary’s Cathedral is an active, diverse parish. We worship, work, and play together, and we welcome visitors with open hearts. 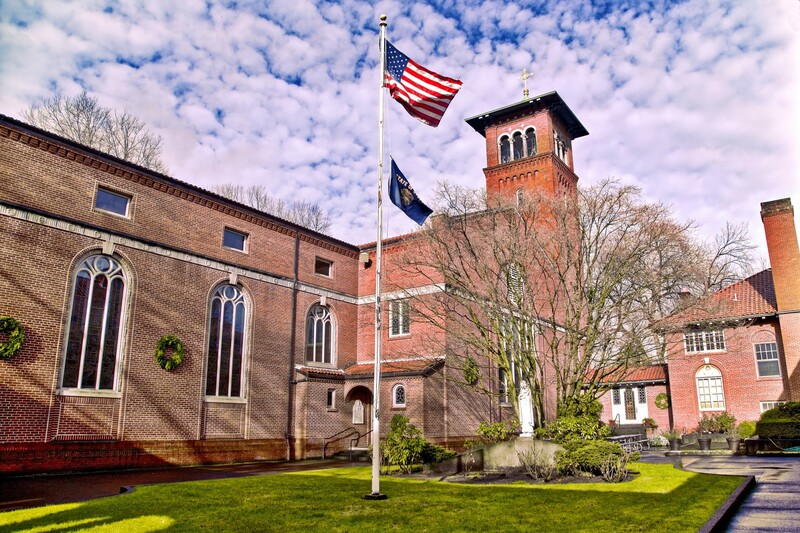 Cathedral School plays an integral part in parish life. Various organizations and committees gather to enrich the parish community and to encourage many forms of outreach. If you are interested in joining our parish community, please come to any of our liturgies and experience our spirit for yourself. Council members are selected by a discernment process. The council meets regularly to advise the pastor and staff about parish ministries and activities. Parish members chosen for their expertise in accounting, law, finances, and maintenance regularly advise the pastor concerning the temporal administration of the parish. regard every member of the parish as needed, useful, and loved. This traditional devotion commemorating the passion and death of Jesus Christ takes place in the cathedral each Friday during the season of Lent. The time is announced in the parish bulletin. Each Sunday after the 9 am Mass, volunteers serve coffee and donuts in St. Joseph Hall, or, when weather permits, in the courtyard. Volunteers take turns setting up and clearing away. To volunteer, please contact the parish office. Please contact St. Mary’s Cathedral School office: 503-275-9370.